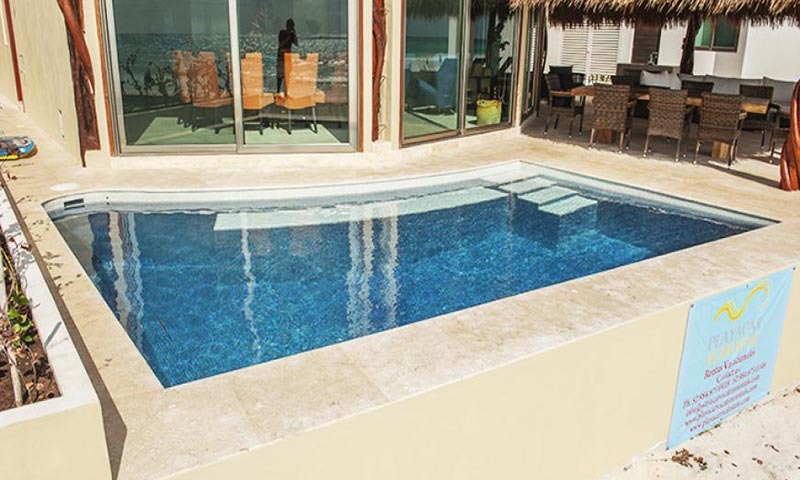 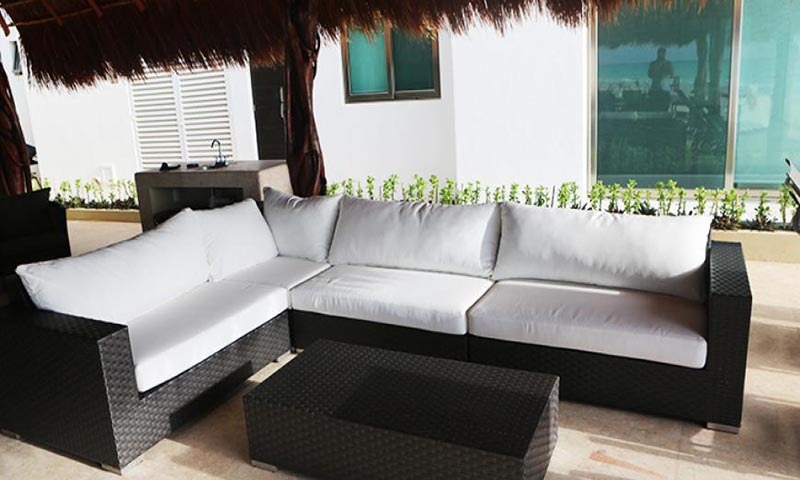 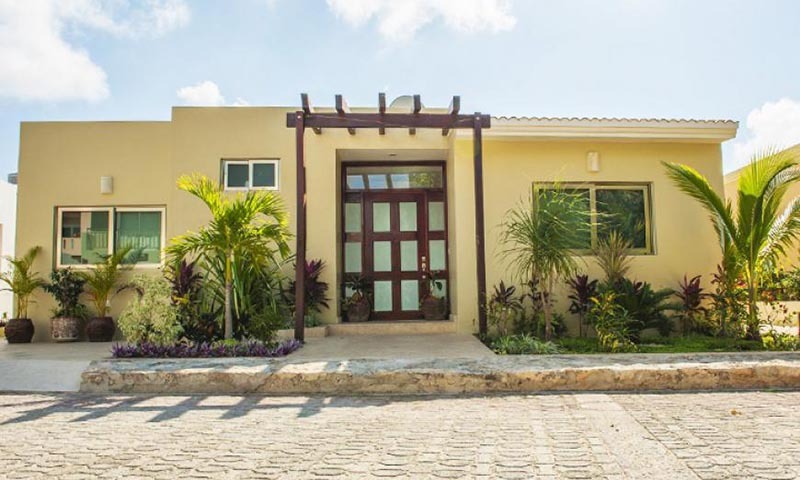 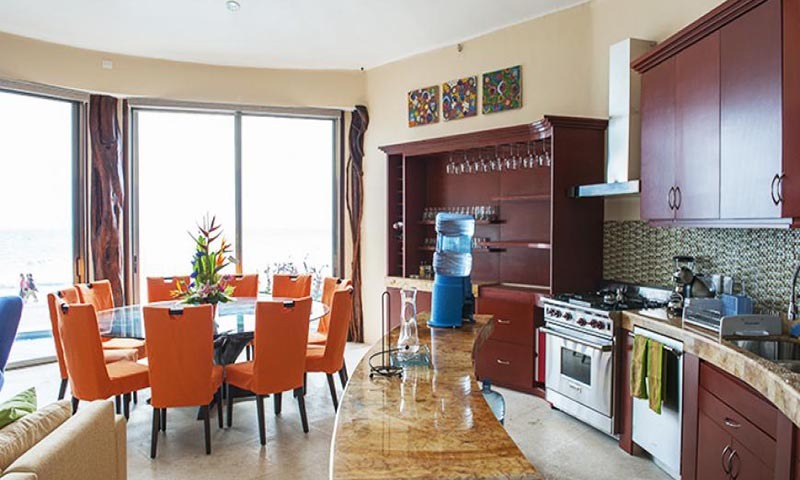 Casa Mayette is ideally located on a very quiet area of Playacar Phase 1, a gated community with its own security on the south end of Playa del Carmen, 45 minutes south of Cancun International Airport. 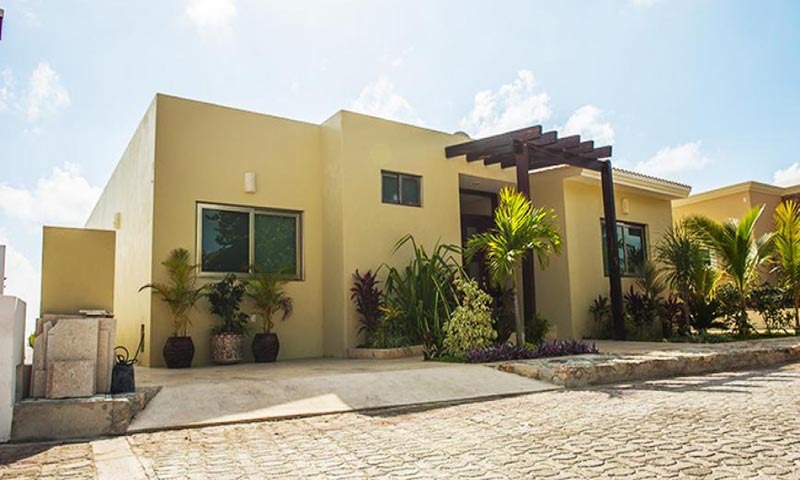 It is close enough for an easy walk to downtown Playa del Carmen but far enough away to not see or hear the town. 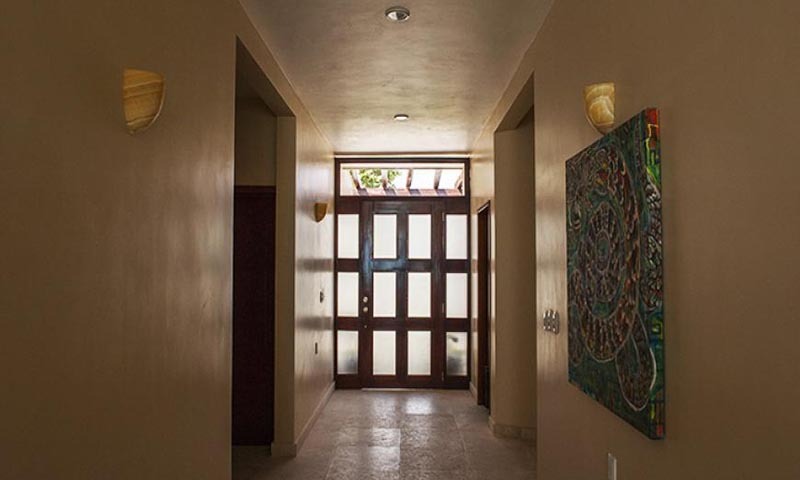 This modern-styled, exclusive property features 4 bedrooms and 3.5 bathrooms. 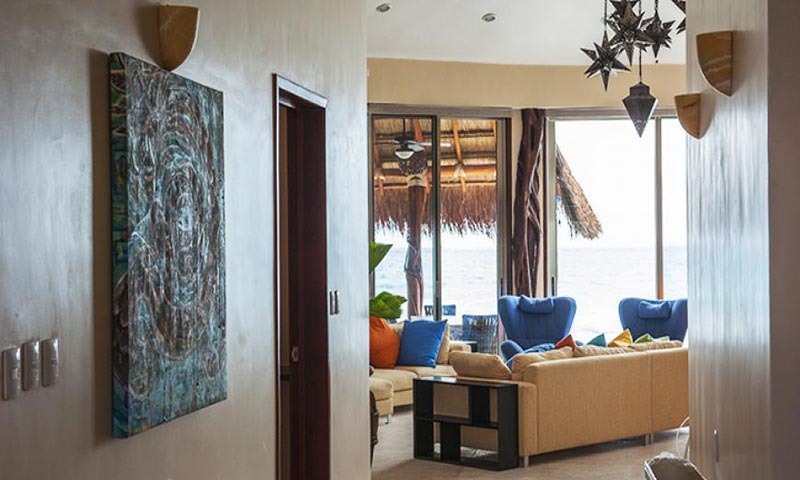 Casa Mayette is located directly on the beach and features a private swimming pool and a stunning palapa for lounging and outdoor dining. 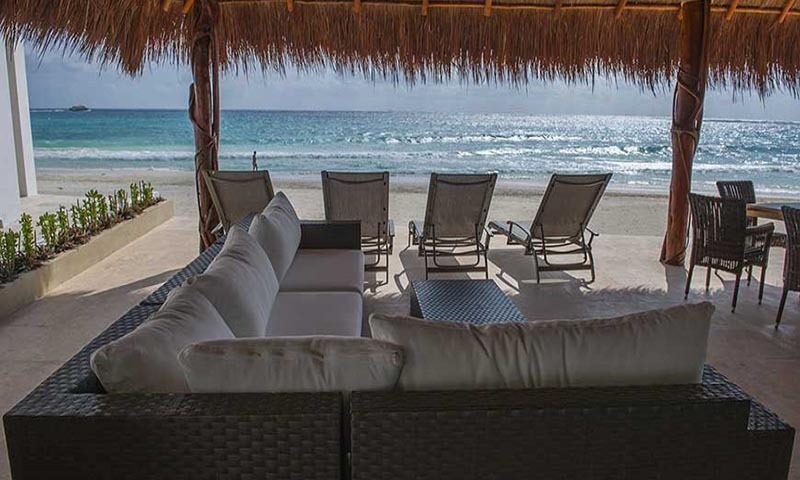 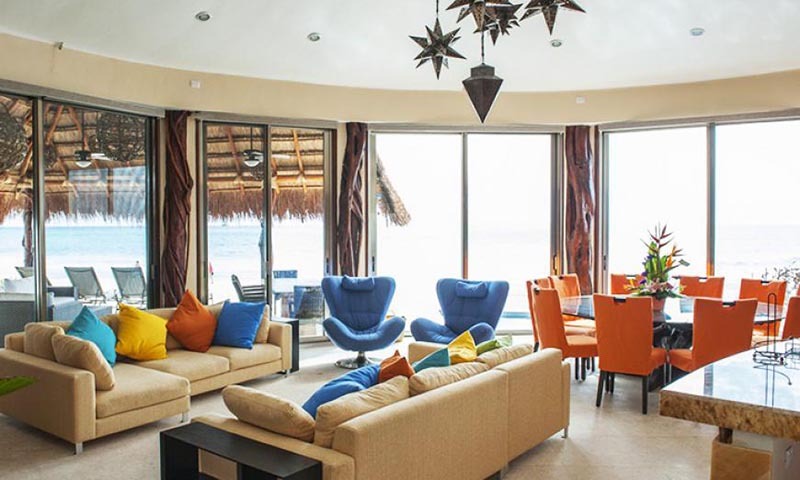 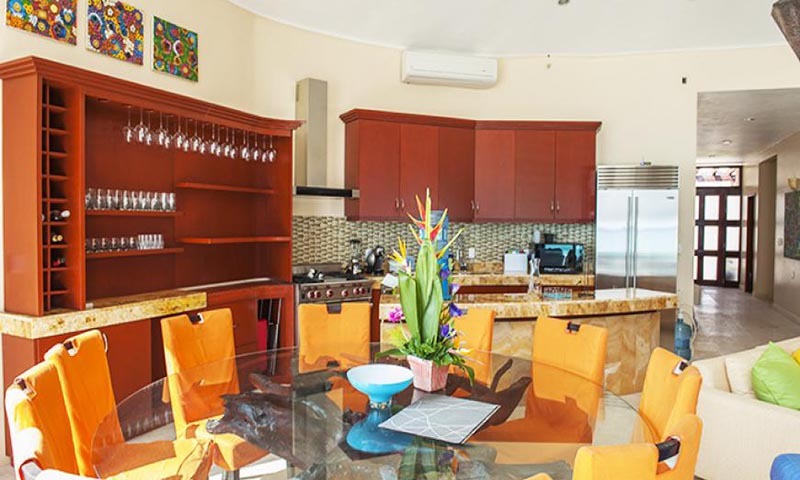 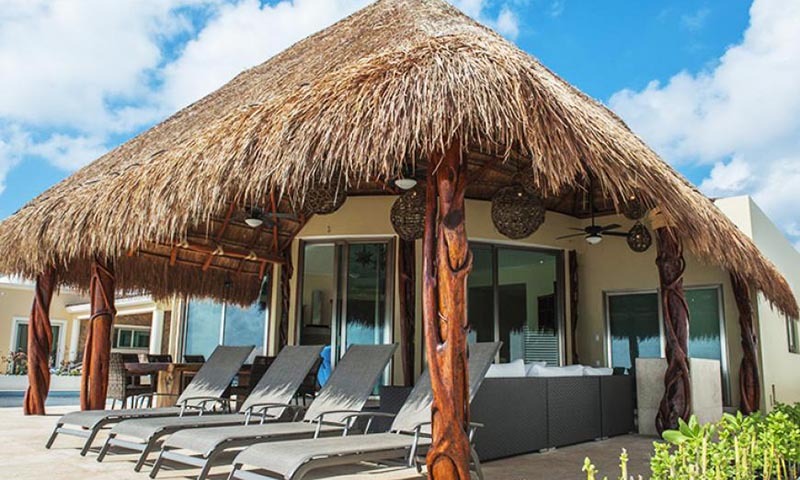 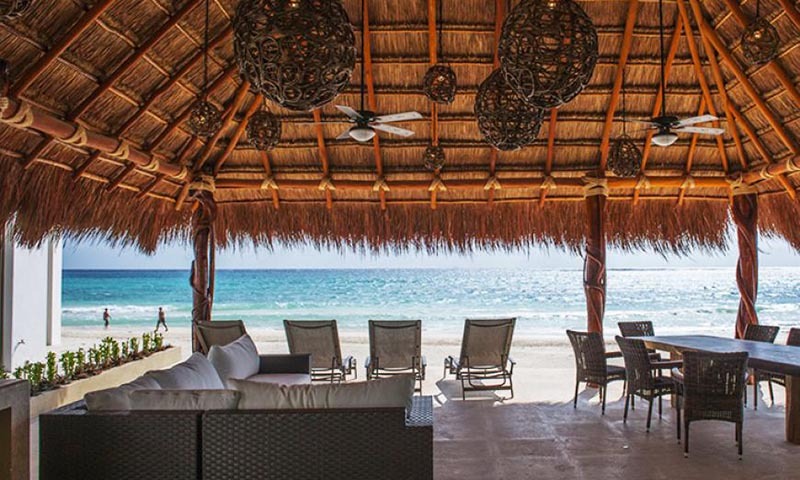 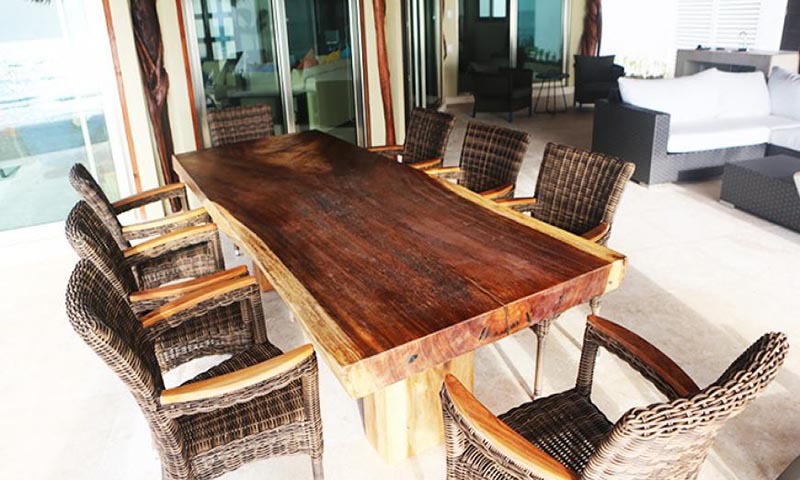 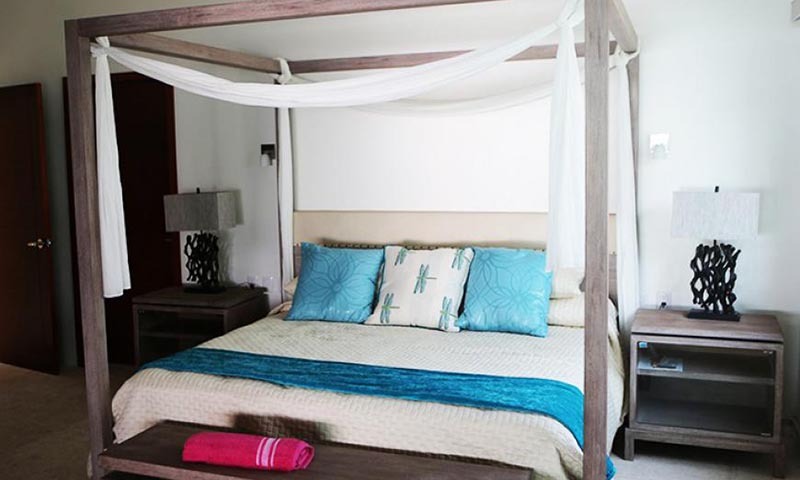 Casa Mayette is beautifully decorated with natural coral stone flooring, custom designed cabinetry and furniture including a circular dining table for 11, and lots of comfortable seating both inside and outside under the palapa. 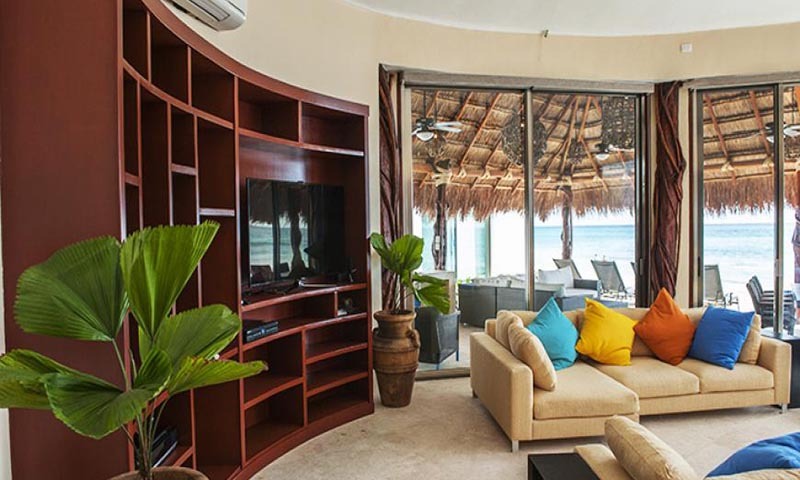 A 60” 3D LCD television with DISH satellite is available in the main living area. 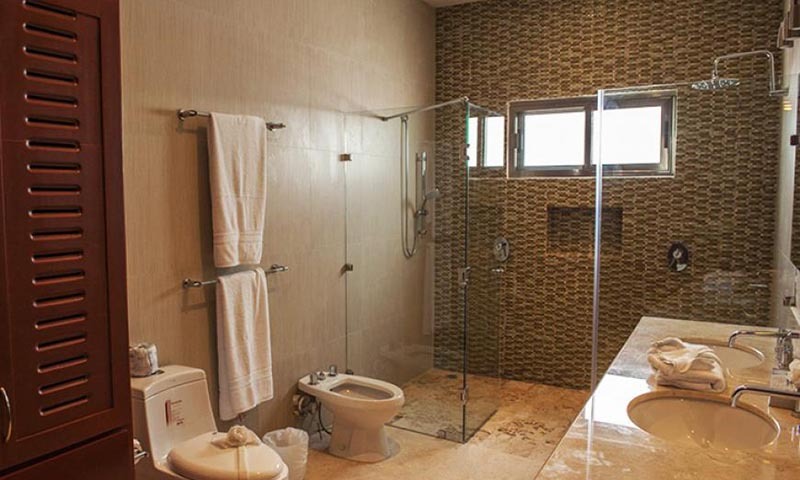 The Master Suite is appointed with a King-sized bed, dual sink Onyx bath countertop, custom tile work, large shower and imported plumbing features, bidet and dual (handheld and rain) shower. 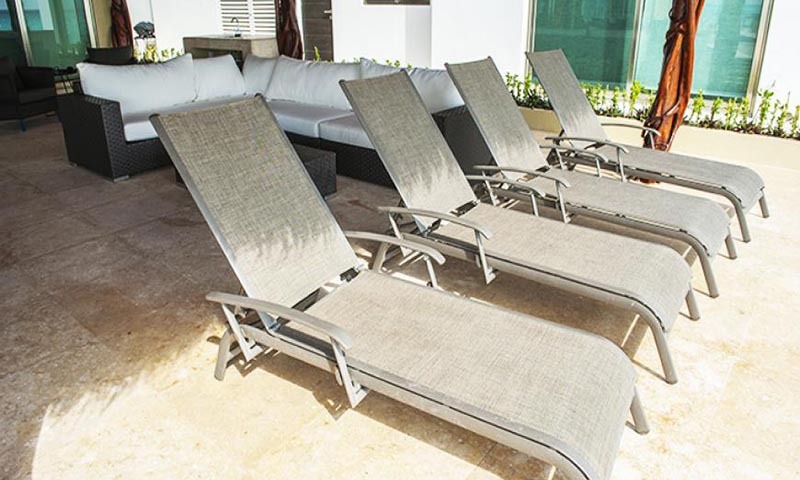 It opens directly out to the roomy terrace and pool area where there is a private seating area to enjoy your complementary morning coffee. 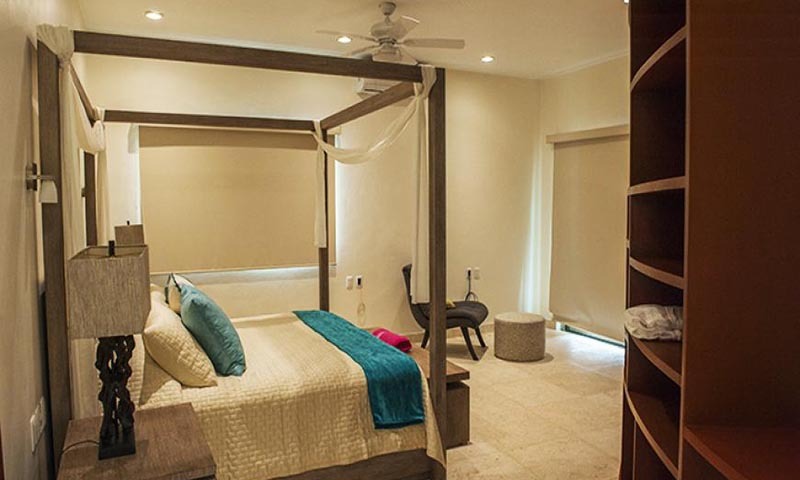 The large 2nd bedroom suite is outfitted with King-sized bed, Onyx bath countertop, custom tile work, large shower and imported plumbing features. 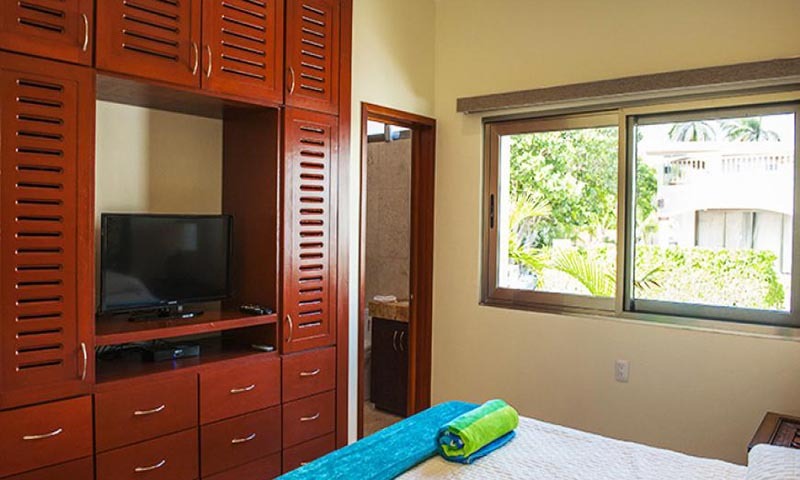 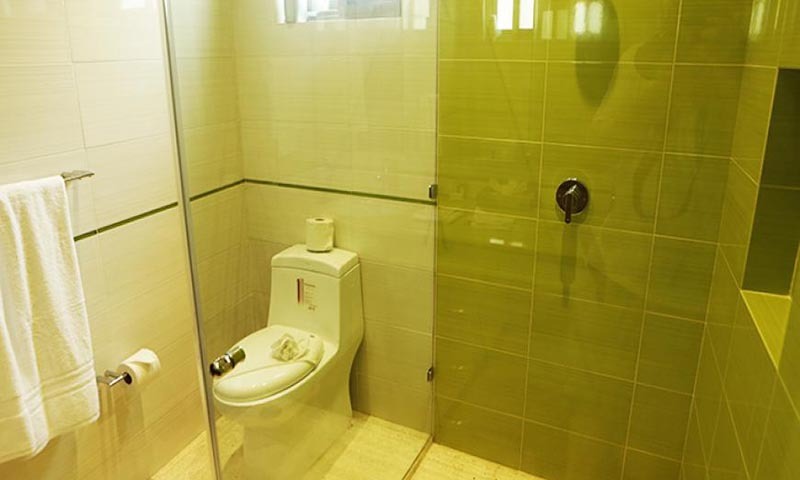 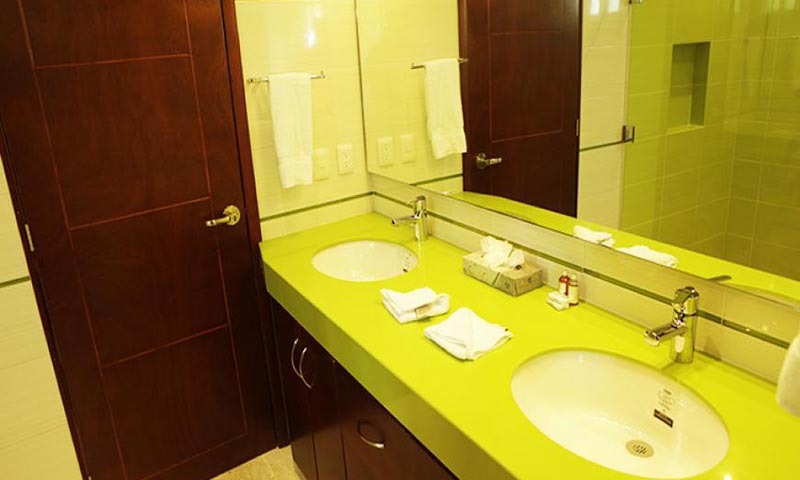 The additional 2 guest bedrooms are separated by a full, spacious bathroom which is also equipped with beautiful onyx countertops and imported plumbing fixtures. 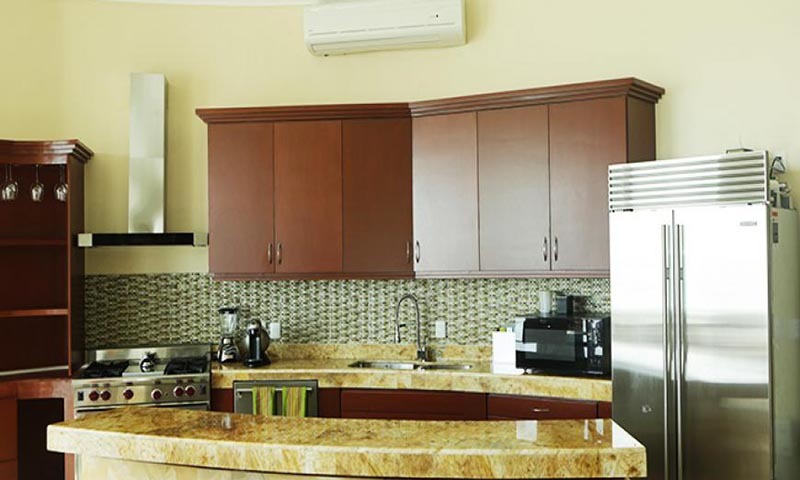 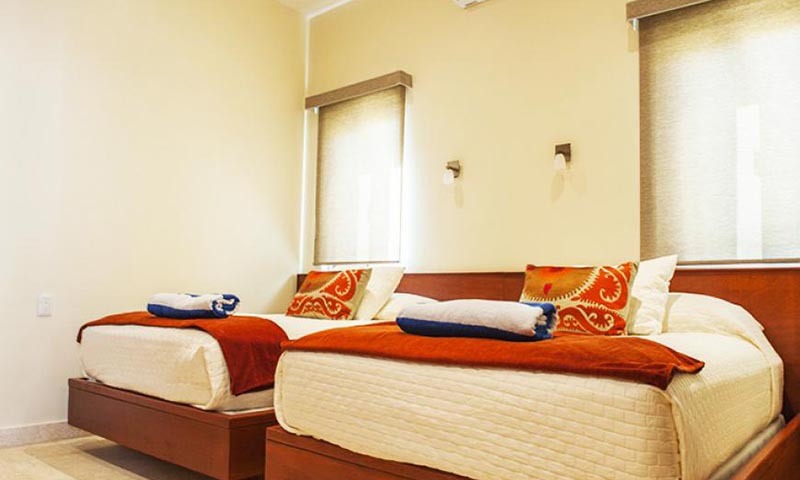 Each room is individually air conditioned and most have ceiling fans. 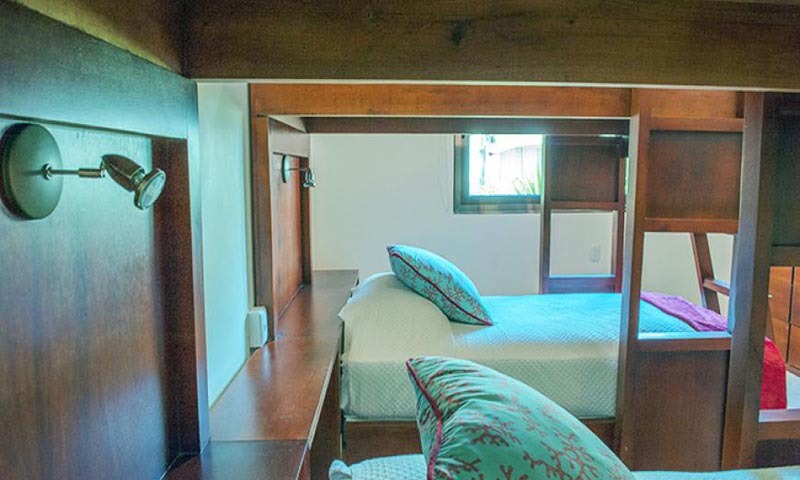 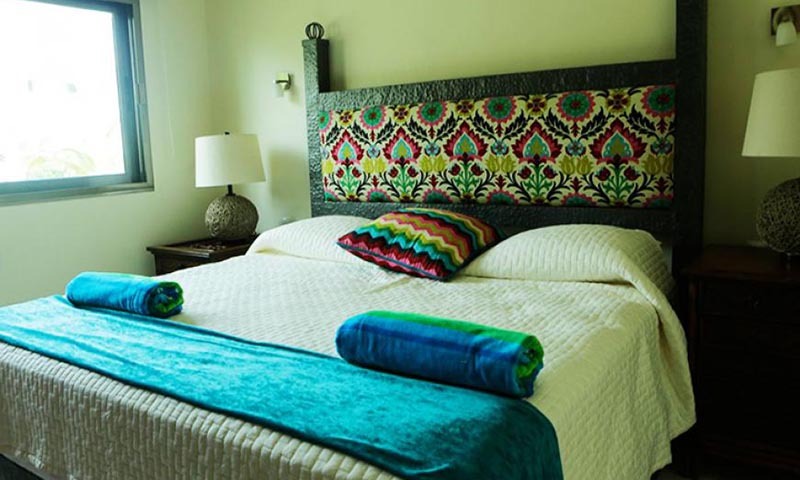 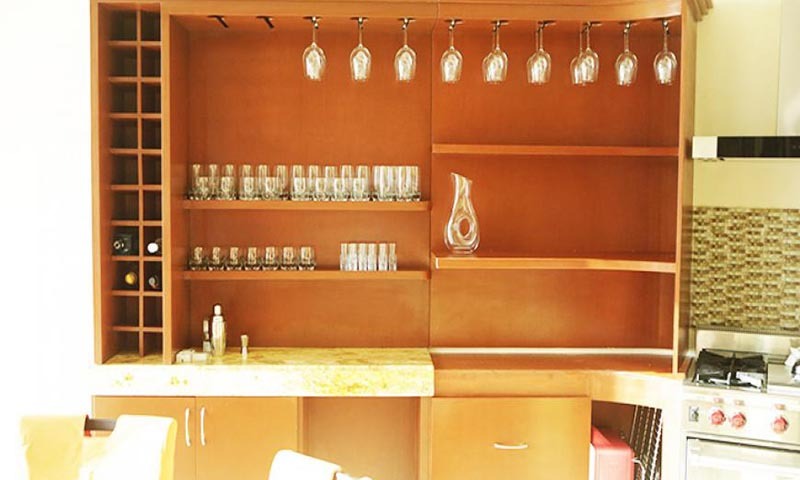 If you prefer a tranquil and relaxing vacation, we know that Casa Mayette will be ideal for you. 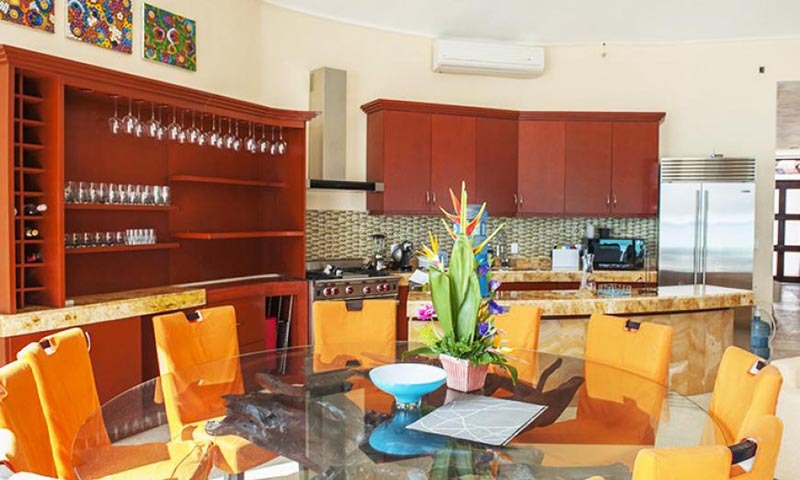 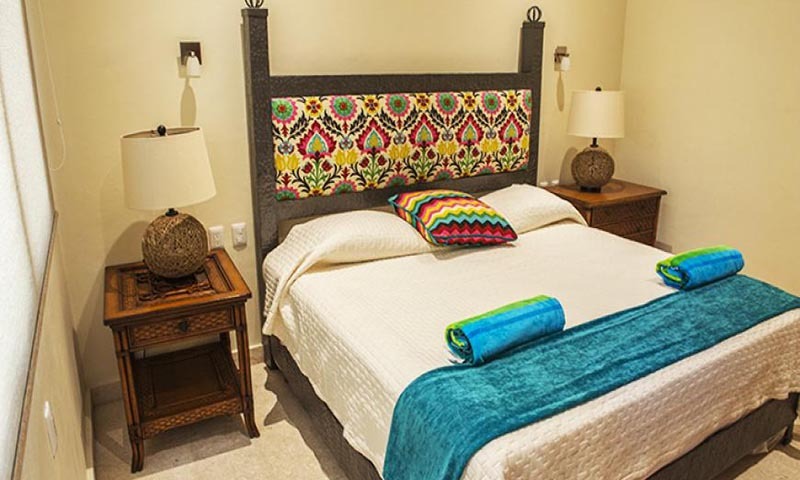 The casa is conveniently located just a short walk to the ferry to Cozumel Island, shopping and an endless array of restaurant, bars and the hip Fifth Avenue shops. 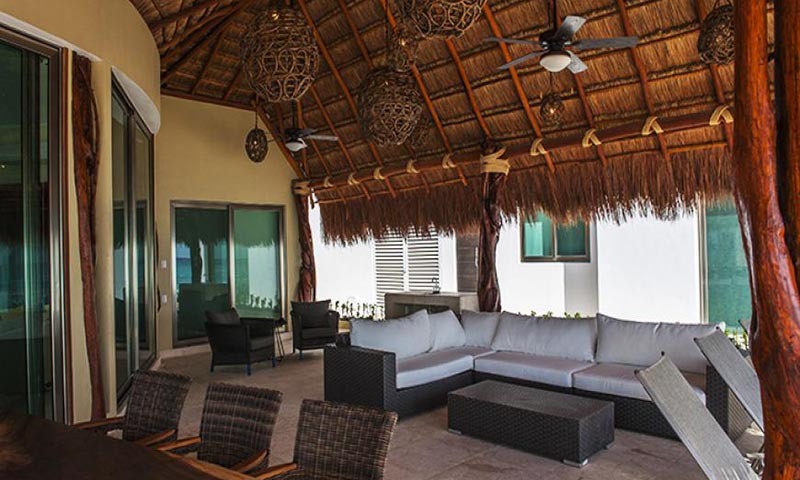 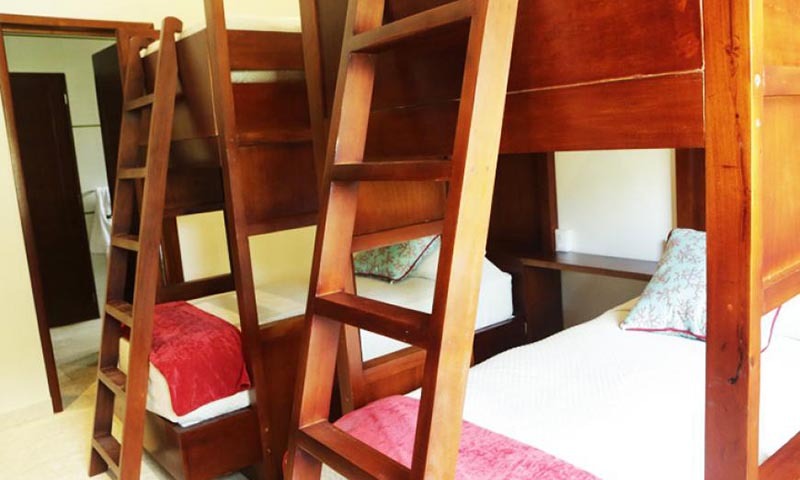 If you have a large family gathering, keep in mind that we have a great selection of beach homes located nearby Casa Mayette which can be booked together making it a great choice for larger groups.